We were recently over joyed to get an update on Jack and Luli who was Jill, two cats that were adopted as kittens in the Summer of 2012. Born at the Shelter from their mother Darwina a stray cat brought to the Shelter in the Spring of 2012 they were adopted and moved to live with Patti Bret in Alderney that Summer. Anna Paint Senior Animal Care Assistant and head of the cattery said "We always love to get updates of the cats we have rehomed and hat a wonderful gift at Christmas to see how two of the kittens born at the Shelter are doing 4 years on." Another happy forever home for a GSPCA cat. Almost 2 months ago Bronx a tabby male cat was brought into the GSPCA with no microchip and no owner found. After his 21 days at the GSPCA in line with the new Animal Welfare Law, an assessment, vet treatment and checks the lovely friendly cat found a new home. Bronx who is now called 'Hugo' is doing very well and his new owners informed us today with the following words "We thought you would like to know that Hugo who was Bronx has settled in well to his new home. " Staff and volunteers at the GSPCA today have both been over joyed and also had a few tears as we waved Mr Chips the very famous cat at the Shelter off to his new home. Mr Chips who has been at the Shelter since April last year has experienced many adventures whilst at the Shelter. On entry he was very unstable with his diabetes which took many months to find the correct dosage of insulin and medicated diet. Mr Chips has also experienced many school trips and tours meeting hundreds of children and adults who all fell in love with the stunning cat that he is. 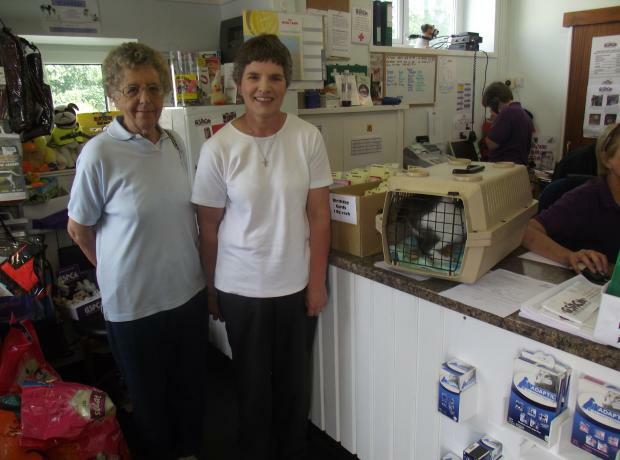 The GSPCA team were overjoyed yesterday as Pickles the cat went off to her new home. After months of care and an operation to remove Pickles ears where the skin cancer was identified the staff and volunteers were able to wave her off to her new home. At this time of year when the sun is shining the tips of some cats and some dogs ears can be affected by the suns harmful rays. Could you put a poster up of animals needing homes that are at the GSPCA? Could you help the GSPCA in helping animals find new homes? You may already have pets or aren't able to but here is a way that you can help those feathered and furry friends find a new home. We always have animals looking for new homes and the link below is a link to just a small selection. Why not place a poster up at your work or local shop and help spread the word of those animals needing new homes in Guernsey.